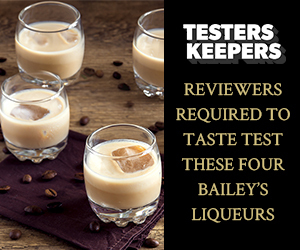 TestersKeepers is looking for a serious Bailey's lover to give in-depth insight to the exciting flavours available. The chosen reviewer will get four different delicious Bailey's flavours to test and give feedback on. Click on the linked page and enter your details for your chance to become a tester.